Saudi journalist close to royal family releases video statement reassuring Israelis that they would not be target of atomic weapons program. A Saudi Arabian journalist and historian with ties to the Saudi royal family has released a video message aimed at Israelis – and delivered in Hebrew. Last week, the kingdom made headlines when Crown Prince Mohammed bin Salman told CBS that his country was prepared to pursue nuclear weapons if Iran is successful in obtaining an atomic arsenal. “Saudi Arabia does not want to acquire any nuclear bomb, but without a doubt if Iran developed a nuclear bomb, we will follow suit as soon as possible,” the Crown Prince told CBS. The Saudi kingdom earlier this year declared its intentions to pursue a non-military nuclear program, with plans to build 16 nuclear power plants over the next quarter century, in a bid to modernize the country’s infrastructure and reduce its own consumption of gasoline, freeing up more for export. The Saudi leader also compared the Iranian regime to Nazi Germany, warning that Iran’s supreme leader, Grand Ayatollah Ali Khamenei, threatens the entire Middle East. The comments drew headlines across the Middle East, including in Israel, which has in the past taken action to prevent the proliferation of nuclear weapons in the region, bombing an Iraqi nuclear reactor in 1981, and a Syrian facility in 2007. Following the reports, however, a Saudi journalist with ties to the royal family, Louai a-Sharif, released a video statement aimed at Israelis and delivered in Hebrew. In the video statement, a-Sharif says that any potential nuclear weapons program in his country would be pursued only as a matter of self-defense, suggesting – while refusing to specify it by name – that Iran, not Israel, would be the target of a potential Saudi atomic weapons program. "In the name of the merciful and compassionate God, after Crown Prince Mohammed bin Salman's meeting and his comments on the development of a nuclear weapon, some Israeli journalists attempted to incite Bibi, Binyamin Netanyahu, against Saudi Arabia, and tried to claim that there is now a nuclear threat from Saudi Arabia,” said a-Sharif in Hebrew. "I'd like to say here to the Jewish people: Has Saudi Arabia ever threatened its neighbors? The answer is, no. 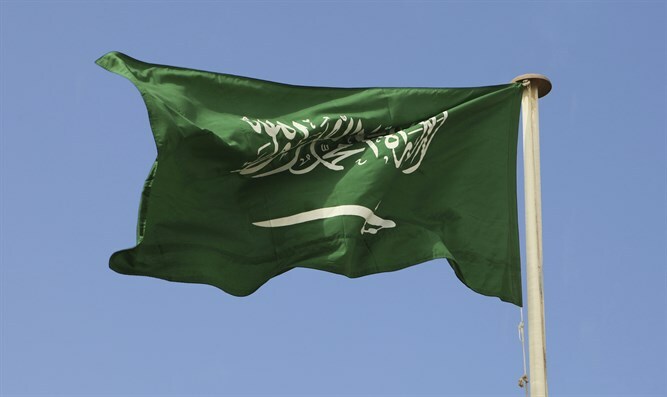 Does Saudi Arabia have any aspirations for territorial expansion in the region? The answer is, no. "Prince Mohammed's speech was referring to self-defense against those who present a threat to their neighbors and who look to expand their territory in the region. "Jewish people: read the news carefully!" Saudi Arabia has no formal relations with the Jewish state, and has refused to recognize its establishment 70 years ago. In recent years, however, there has been increased cooperation between the two countries due to their shared concerns over Iran’s nuclear ambitions and growing influence in the region. Earlier this month, Air India confirmed that the Saudi government had approved the first-ever air route over its airspace for a flight to Israel. Observers hailed the opening of the new line between Tel Aviv and New Delhi as the first tacit public acknowledgement of the State of Israel by the Saudi government.